Now Aruvikkara MLA K. S. Sabarinadhan will be the 'I' group candidate and Palakkad MLA Shafi Parambil the 'A' group's candidate. 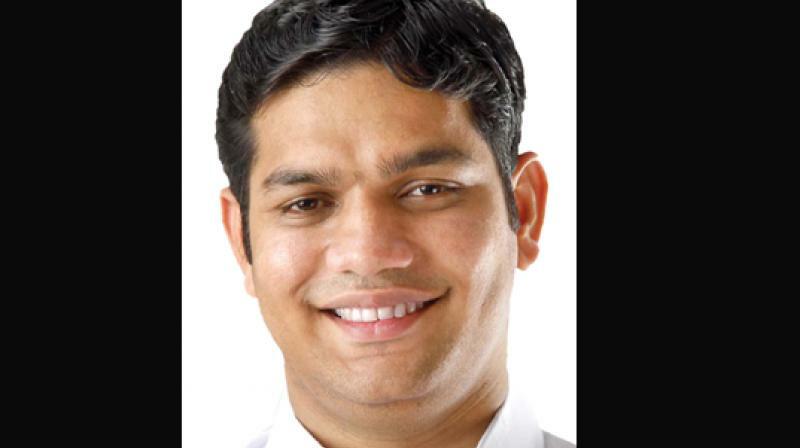 Thiruvananthapuram: Ernakulam MLA Hibi Eden has come out with a Facebook post stating that he was not in the race for Youth Congress state president as an 'I' group candidate. He was stepping aside for newcomers as he had held various key posts before becoming a legislator. Mr Eden said he became KSU president, NSUI president and also the 'baby' MLA in the 13th Legislative Assembly in 2011 and repeated the win in 2016. Unlike the other seniors clinging on to power, he wanted to make way for others. He also took a swipe at president aspirants saying it's the organisational experience that keeps a leader matured. His stand is that it will be difficult to juggle two key posts, being a legislator and the YC chief. "Youth leaders who had already held responsible posts should not cling on to power and spoil the chances of young blood. I will show the spirit of a KSU leader, but will act as a YC leader instilling all support to my colleagues," he said. The membership drive is coming to an end on Thursday where the youth below 35 can enrol. Two-time MLA Mr Parambil was also the former KSU president and the national general secretary of Youth Congress. He had unleashed a virtual tirade against 77-year-old P. J. Kurien, former Rajya Sabha deputy chairman, who batted for a seventh term, along with Thrithala MLA V. T. Balram. He said he doesn't wish to comment at this juncture, but would come up with a Facebook post soon. "I am also planning to give a reply. But now is not the time, I will respond later. Now let the membership drive happen, close to six lakh new youth leaders have enrolled as of Wednesday," he told DC. Recently, Mr Balram had come under flak from KPCC president Mullappally Ramachandran for not attending party programmes.